There are actually some ways how to save some dollars while spending a wonderful vacation in Branson. If you aren’t careful, you can overspend on some of the famous attractions that you want to visit and the exciting activities that you want to enjoy. When you are away from home and spending so much time during your vacation in Branson, it’s always easy to be tempted on souvenirs, and the last-minute decisions that can cost you more than expected, it can quickly hurt your budget. So if you want to save some money in Branson, you need to learn some tips how to save more while having fun in Branson. Like any vacation destinations, one of the best ways to save some dollars is to visit during the off-season. Lack of tourists visiting the place translates to lower hotel rates, fewer crowds, and affordable deals at most of the shops. Summer and Christmas time are the most popular times to visit Branson, so you should take your vacation in late winter, spring, or early fall. But you should note that some attractions are not open during the off-season. For example, Silver Dollar City and some live shows are closed during the cold season. Be sure that the attractions that you like to see will be open during your vacation. The price of eating out can affect much of your budget. So it’s better to eat inside your accommodation and save some cash. There’s really nothing to worry about eating inside your accommodations as most of the cabins and condos in Branson feature fully furnished kitchen complete with modern appliances such as fridge, microwave oven, coffee maker, dishes, pots and pans, and kitchen wares and utensils. Big families and groups of guests are sure to appreciate the home-like feel, private bedrooms, and public gathering spaces, while romantic couples will enjoy the intimacy and coziness of the place. Instead of splurging each night in a restaurant, buy some affordable groceries and cook a lovely meal inside your accommodation. 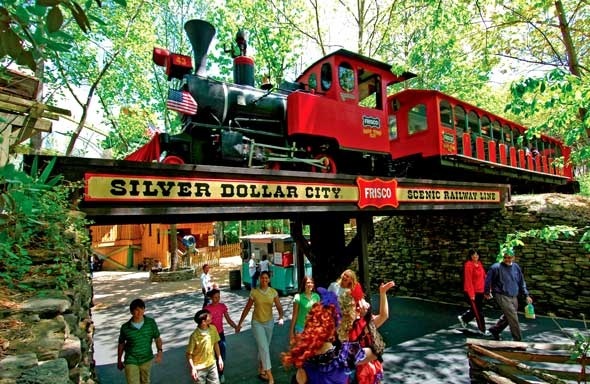 When you are planning to enjoy exciting activities and thrilling rides, take advantage of the discount packages offered at Silver Dollar City. The park offers season passes that can allow you to enjoy unlimited visits all season long, so if you plan to go more than once, it’s worth it. Silver Dollar City also offers group discounts to a group of 10 or more and receive discount if tickets are reserved 72 hours or more in advance. In addition, you will be given one complimentary ticket for every 10 admissions purchased. The park also offers military discounts for retired veterans and active military personnel and get a 2-day ticket for the price of one. Family passes are also available for local attractions including Titanic Museum, Grand Jubilee, Amazing Pets, The Haygoods, and Starlite Theater Shows. If you want to save some dollars on your vacation in Branson, learn simple tips above on how to save more while having fun in Branson.